So glad I found you and found this specific blog post. I’ll be reading it several times to soak up the quality content. 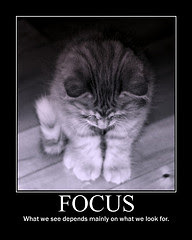 Focus is my main challenge. Refreshing to read it is a challenge in others lives as well. Know that your motivation and your leadership are having a positive effect on my life and my business. Your knowledge helps me grow. Congratulations on your wedding anniversary and on recognizing this step makes you a better parent and husband. Hey Stephen ~ What a great post and reminder that we really need to focus our energies on one major goal at a time. All too often as you have pointed out here we get distracted by a myriad of other things that enter our lives. Having a tool such as you present here is invaluable in getting to that place where we can identify that one area where we want to see more success and then actually making that happen. I can certainly see by using this method that I will be able to look back at the end of the year and know that I have been successful at my one goal because I was able to find and maintain that laser focus. For the question “In which role do I want to have a breakthrough?” Honestly, as of now, still it is not clear to me whether which role I want to have a breakthrough. I don’t know the exact reason why. I guess I need to go back and refocus what I want to be. By the way, thank you so much for this wonderful insight. This is an enlightenment for me.